“Saving money” and “setting an example for children” were the two leading factors for those who want to reduce food waste, which is 43% of Americans, according to the first national survey, done by Johns Hopkins. 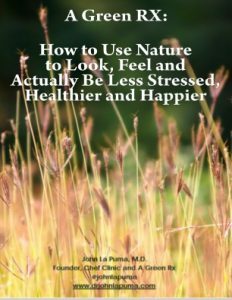 There are some important books about how to reduce your food waste, which is crippling Americans’ personal budgets, increasing global warming and methane production, and making farmers overproduce for cosmetic, middle man reasons. 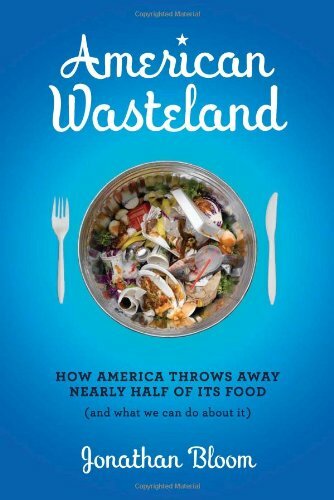 See, for example: American Wasteland: How America Throws Away Nearly Half of Its Food (and What We Can Do About It), which won an IACP award; and The Waste Not, Want Not Cookbook: Save Food, Save Money and Save the Planet , from which many of these suggestions come*. 1. Best-before dates are largely unregulated and arbitrary. They may indicate optimum quality but not food safety. Producers are becoming more conservative in response to food safety scares; most food is perfectly safe after the date. Use your nose and some common sense when you decide to throw out food. (Basic storage guidelines are outlined in Waste Not, Want Not and at stilltasty.com). 2. Plan meals before you hit the grocery store. Only buy as much produce as you can eat in a week. Try focusing a week’s worth of menus around a big piece of protein that you can roast on the weekend. A roast chicken on Sunday turns into chicken salad on Monday, quesadillas on Tuesday and so on. 3. Clean out your fridge and use everything before you buy more. Try the white box challenge (which is outlined in the cookbook) to use up leftovers and random ingredients. 4. Your freezer is your best friend. Package leftovers for a future quick meal, along with fruit before it goes bad for use in smoothies and bread for morning toast. Label and date everything. 5. Buy a home vacuum sealer for packaging meats. It will extend the storage time by months and prevent freezer burn. Your freezer’s temperature should be between -18 to -17C. 6. Think like a chef and make stock, soup, frittata, casseroles, more. They’re the best ways to use up leftovers and ripe produce. 7. Consider downsizing your fridge. If you have a small fridge, you’re more likely to cook what you have before buying more food to reduce grocery trips. 8. Plan a pot luck day with friends. Buy in bulk and cook large batches together to freeze. You’ll save money, food and time when dinner for the week is ready to go. 9. Salad greens wrapped in a paper towel and sealed in a plastic bag last longer. Put herbs in a standing jar of water. Don’t store apples, bananas, tomatoes or citrus with other produce. Their ethylene gas makes other produce spoil faster. Make apples or tomatoes with soft spots into a cobbler or sauce instead of tossing them. 10. Processed foods often cost more than whole foods. Spend more of your food budget on fruits and vegetables (40 per cent), eat ideal portions and spend a little more time on food prep. This will also reduce your grocery bill.